As someone who has PCOS, have you had a refreshing glass of iced green tea lately? Or green tea extract? Based on our review of medical research, you may want to give it a try. Green tea extracts are among the most widely used ancient medicinal agents, especially in traditional Chinese medicine. We have 60 medical studies on file regarding green tea. Most of them show that green tea and green tea extract will promote your health -- and may also help you to reduce symptoms of polycystic ovary syndrome. On this page are just a few examples of what we've discovered about green tea extract in these studies. Oklahoma State University reported on 35 overweight people with metabolic syndrome (similar to PCOS). They were divided into 3 groups: water only, green tea, or green tea extract. 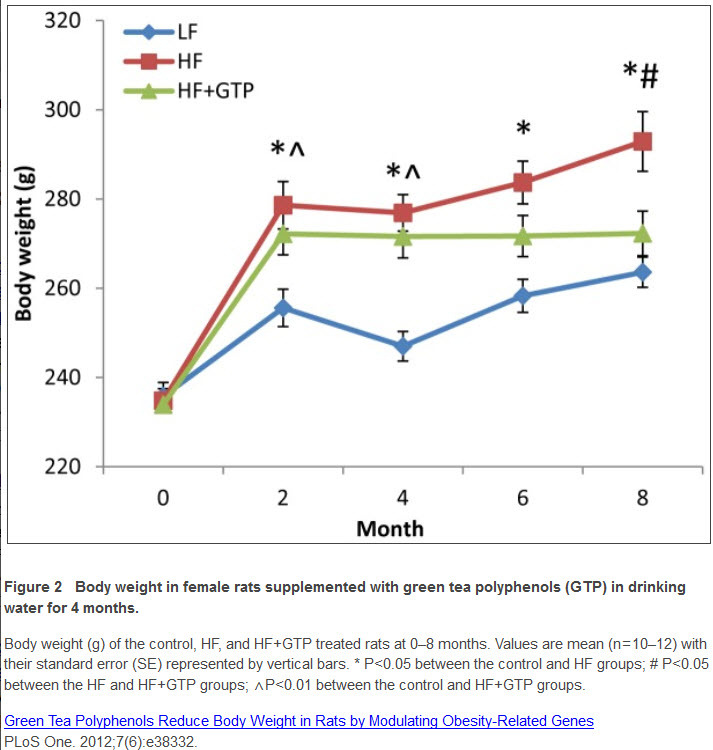 After 8 weeks, the folks either drinking green tea to taking green tea extract had decreases in body weight and improvements in their body mass index. A study at Provident Clinical Research in Indiana evaluated overweight individuals who were put on an exercise program. Some received special green tea beverage while others did not. Those who consumed the green tea had a greater loss of belly fat. A Chinese study of obese women with PCOS showed that consumption of modest levels of green tea extract resulting in slight weight loss and slight improvement in menstrual cycle. However, the amount of green tea in this study may have been too low to have maximum effect. Another study showed weight loss and reduced waist circumference in people who were moderately overweight. In a survey of 569 men and 641 women, 43% had consumed tea one or more times per week for at least 6 months. Habitual tea drinkers for more than 10 years showed a 19.6% reduction in body fat percentage and a 2.1% reduction in waist-to-hip ratio compared with non-habitual tea drinkers. Medical researchers from Ahvaz Jundishapur University of Medical Sciences in Iran recently studied 45 women with polycystic ovarian syndrome. Half consumed a green tea supplement for 45 days while the other half consumed a placebo. Compared to the placebo group, those taking the supplement experienced significant weight loss, reduction in waist circumference, and body fat percentage. The available evidence all indicates that green tea and its extract should aid with your weight loss efforts. Most of us know that a starchy, high-carb diet is a big driver of PCOS because it increases blood sugar too much. The high blood sugar causes increases in insulin, which leads to a condition called "insulin resistance". And insulin resistance is widely believed to be the main cause of PCOS and other chronic health problems. Obviously the best way to minimize the effects of PCOS is to cut down on the amount of refined carbohydrates in your diet. By far the largest source of refined carbs is processed foods made mostly from grains. But maybe it's traditional in your culture to eat refined white rice or foods made from wheat flour. Or possibly you're addicted to bread, donuts, cupcakes, breakfast cereal, or processed convenience foods. Whether because of cultural habits or personal addiction, you may find yourself eating more refined, processed carbs than you should. Well, you could also eat some protein and fat, which would reduce the effect of the carbs. And that's not all. You could also drink green tea! Or take a green tea extract. It's well known that people in Asian cultures consume large quantities of white rice, which has a glycemic nearly identical to table sugar. So you would think their blood sugar would be sky-high and that they would have more PCOS, diabetes and other disease than non-Asian cultures. But they don't. The reason may be that they also consume more green tea than anyone else on the planet. According to a mouse study by Penn State University, green tea acts as a starch blocker. In this study, one group of mice was fed corn starch. Another group was fed the equivalent of 1.5 cups of green tea along with the corn starch. An hour after consumption, the blood sugar of the corn starch mice was over 300 -- a very high number. In contrast, the blood sugar of the starch + green tea mice only rose only to about 230, not nearly as high. Both human and mouse studies suggest that green tea inhibits alpha-amylase, which is an enzyme required for starch digestion. If the starch is not broken down by alpha-amylase, it is not absorbed into the bloodstream and thus cannot increase your blood sugar. We recommend you either consume green (or black) tea with any meal containing refined carbs. Or you can take green tea/green coffee extract powder and make a drink out of it to accompany a meal. The University of Miami reported that green tea extract applied topically twice daily for six weeks, resulted in a 58% reduction in acne in twenty people. Up to 50% of women with PCOS may have some degree of fatty liver degeneration, a disease that makes many things go wrong in your body. Rutgers University reported that green tea reduced fat accumulation in the livers of mice. Colorado State University showed that people taking green tea extract had increased maximal oxygen uptake (VO2max) compared to those taking a placebo. VO2 max is the maximum capacity of your body to transport and use oxygen, which is an indication of your physical fitness and an important determinant of overall quality of life. Maximal oxygen uptake is also a powerful predictor of maximum work capacity, endurance performance, and longevity. 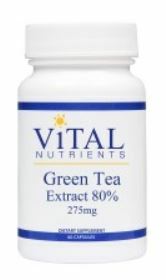 To the extent that green tea extract can increase VO2max, it has obvious and important implications for your health. Lund University in Sweden reported that people drinking green tea reported greater fullness with a meal. The people also had a less strong desire to eat their favorite food and found it less pleasant to eat another mouthful of the same food. Excessive levels of androgens are a primary cause of many symptoms of PCOS, including hirsutism, hair loss, acne and infertility. Cell experiments by the University of Chicago showed that green tea extract had a dampening effect on the effects of androgens. The Charles R. Drew University of Medicine and Science tested mice with spontaneous hair loss. Some were given pure water while others were given water with green tea extract. 33% of the mice drinking the tea-laden water for six months had significant hair regrowth. No regrowth occurred in the mice drinking only pure water. The University Medical School Schleswig-Holstein in Germany has just reported that green tea extract blocks an enzyme that leads to cortisol production. This means that green tea extract can help to better regulate cortisol. This is important. Cortisol is a stress hormone that builds belly fat and causes a host of other health problems. A lot of women with PCOS have cortisol levels that are too high, which is one reason for the expanded waistlines. Several medical research studies have shown that consumption of green tea extract has anti-cancer activity. It also can help to reduce uterine fibroids and endometriosis. We don't have room to review the other possible benefits of green tea, such as antioxidant activity, reduction of diabetes and heart disease risk, and reduction of cholesterol. 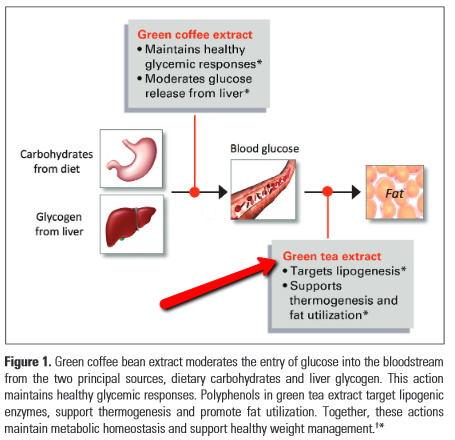 The data regarding green tea's ability to help you control blood sugar isn't entirely clear. Some studies say it helps you keep your blood sugar stable while one other study says it does not. Not all the news is good. A study by the University of Calcutta in India showed that green tea or black tea extract interfered with thyroid function in male rats. However, when you sum it all up, it appears that consuming green tea or taking a green tea extract would be a good idea for most of you, especially if you have polycystic ovary syndrome or have an issue with diabetes.